Cruise activity in Barcelona generates total revenues of € 796 million and contributes € 413.2 million a year to Catalonia's Gross Domestic Product (GDP), according to the results of a study commissioned by the Port of Barcelona and conducted by the University of Barcelona's AQR-Lab Laboratory of Applied Economics in collaboration with Barcelona Tourism. The study, presented today by Sixte Cambra, president of the port of Barcelona, Jordi Suriñach, director of the University of Barcelona's AQR-Lab Laboratory of Applied Economics and professor of Applied Economics, with Jordi William Carnes, director-general of Barcelona Tourism, calculated the direct impact of the key stakeholders in cruise activity, the indirect and induced impact, as well as the so-called catalyst effects of this sector on the economy. According to a press release from the port, the report revealed that direct expenditures from cruise activities amounted to € 442.5 million a year, split between three main spending agents: cruise lines (121.2 million), cruise passengers (315.8 million) and crew (5.5 million). These initial expenditures generate an indirect and induced turnover of € 353.5 million, which puts the total turnover of the cruise activity at € 796 million, the port stated. The study also highlighted that the volume of activity represents a contribution of € 413.2 million to Catalonia's GDP and maintains 6,759 jobs. It also generates tax income of € 152 million in state, regional and tourist taxes. Barcelona is the main beneficiary of this activity, since 75% of the total effect stays in Barcelona. According to the port, cruise ships calling generates a daily turnover of € 2.2 million per day per ship. 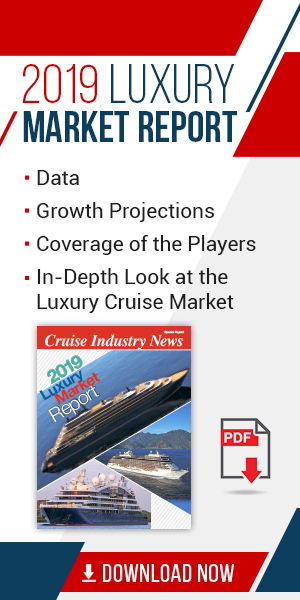 The research also highlighted the important multiplier effects arising from cruise activity, which almost double the direct impact attributed to three main spending agents. In addition, the study showed that, far from benefiting only from typical tourist activities, the cruise sector generates significant positive effects in other sectors of the economy. This multiplication of benefits to different economic segments is based on the distribution of jobs that arise from cruise activity: while 3,995 jobs are generated in tourism sectors, the remaining 2,764 occur in sectors as diverse as logistics, food manufacturing, the metal industry, chemical industries, medical services or waste management and sanitation services, inter alia. Barcelona Tourism also provided a profile of passengers visiting Barcelona. On the basis of this and the fact that in 2014 the Port of Barcelona recorded a total of 2,364,292 passenger movements, it said that passengers who do not stay overnight spend an average of 4.3 hours in the city, which represents 57.5% of passenger movements (1,360,271 people). Moreover, passengers in turnaround (who start and end their cruise in Barcelona) that stay overnight in the city remain an average of 2.6 nights and account for 23.9% of cruise passenger movements (565,400 people) while the remaining 18.6% corresponds to passengers that embark and/or disembark directly with no overnight stays and without visiting the city (438,621 people movements). Cruise passengers arriving in Barcelona usually travel in pairs to visit the city. 94% of passengers that stay the night in the city lodge in a hotel (compared to 47.5% of tourists on holiday in Barcelona). The study also specifies the average cost of different types of passengers: sight-seeing passengers (who visit the city but do not stay overnight) spend € 53 on average; passengers (who do spend the night in Barcelona) spend € 202 per day compared to holiday tourists in the city (who stay in a hotel), who spend an average of € 156. The research conducted highlighted some of the catalyst effects of cruise activity on the port. The impact on El Prat airport provided one example; since Barcelona is a homeport, cruise traffic has been decisive in creating and maintaining international flights (such as those from the U.S., Canada and also the Emirates for the Australian market). Regarding the 1.1 million cruise-goers in transit (with a stay in the city about 4 hours) Jordi Suriñach pointed out that this is manageable because stopovers are booked two years in advance, which makes it possible to know in detail how many cruise passengers will be in the city every day of the year. This forward planning makes it easier to manage and organize the flow of passengers with the city. As far as environmental impact is concerned, the report noted that the cruise industry generates 1.2% of the NOx present in the air of Barcelona and less than 0.2% of the solid particles in suspension in the city's air. Port resident Cambra also announced that the port is preparing a specific study on the environmental effects of cruise activity on the Catalan capital, the results of which will be announced in the coming months. Barcelona ranks itself as the busiest cruise port in Europe and the Mediterranean and fourth in the world (after only the three Florida ports of Miami, Port Everglades and Port Canaveral). € 109 million were invested in cruiser infrastructure between 2000 and 2014,l and the port now has six cruise terminals. A seventh terminal (Terminal E) will be built and managed by Carnival Corporation with an investment of € 30 million.